Original T-shirts sure look good on delegates! It was a national holiday, however, NSTC held GWO Basic Safety Training Course on the day. From 9th to 12th August, NSTC delivered First Aid module and Working at Height module of GWO Basic Safety Training. We had very fine weather during the training . It’s not to say that delegates might want to have extra clothes because of this hot and humid weather , but some of the delegates purchased NSTC’s original T-shirts during the training. That’s not all! 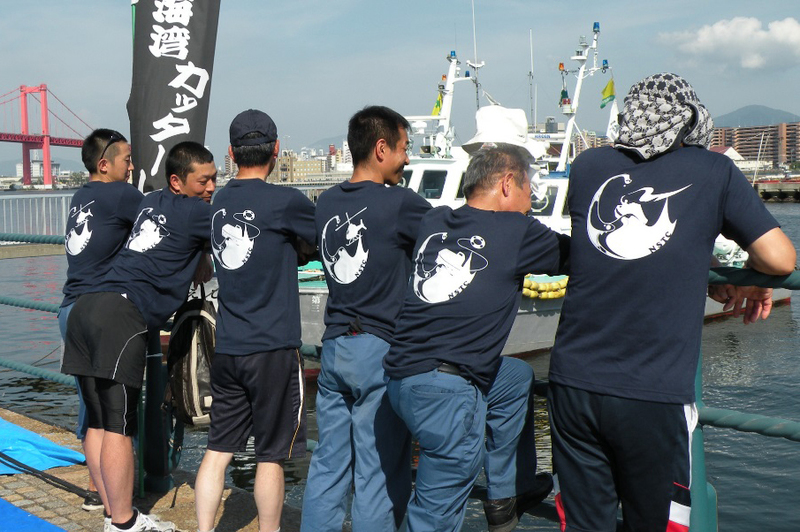 We were delighted that they wore the T-shirts on the training day!! Very stylish and looks great! Having buckled themselves as wearing the T-shirts which are NSTC staff’s favorite, they completed the training without any incident despite the scorching hot days. 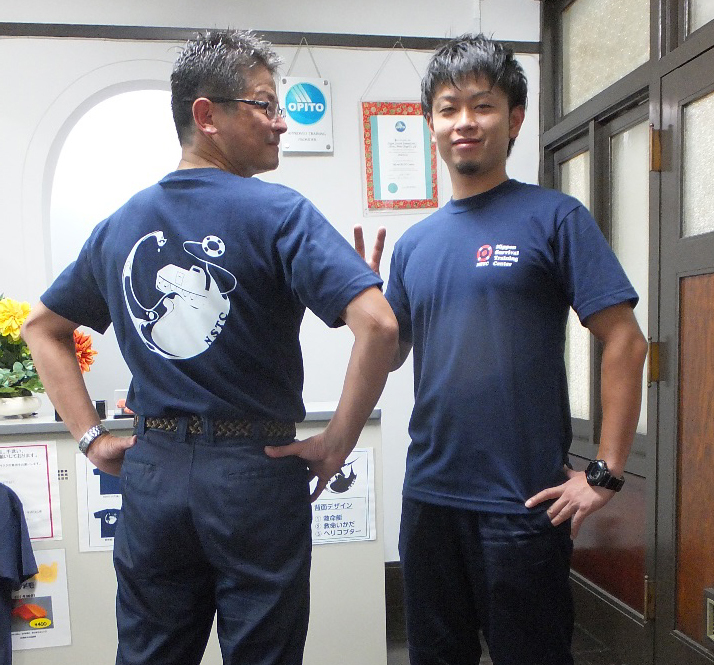 There are three patterns for the T-shirts; helicopter, liferaft and lifeboat.